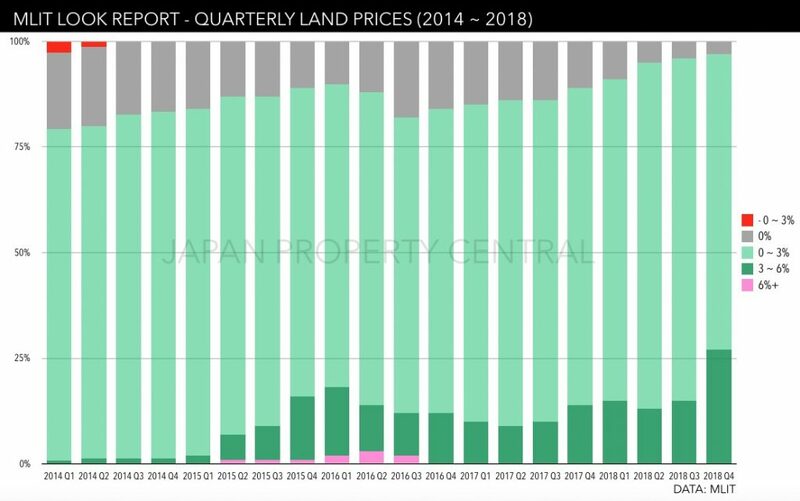 According to the Real Estate Economic Institute, a total of 80,256 brand-new apartments were released for sale across Japan in 2018, up 3.7% from 2017, and the first time since 2014 to see supply exceed 80,000 units. 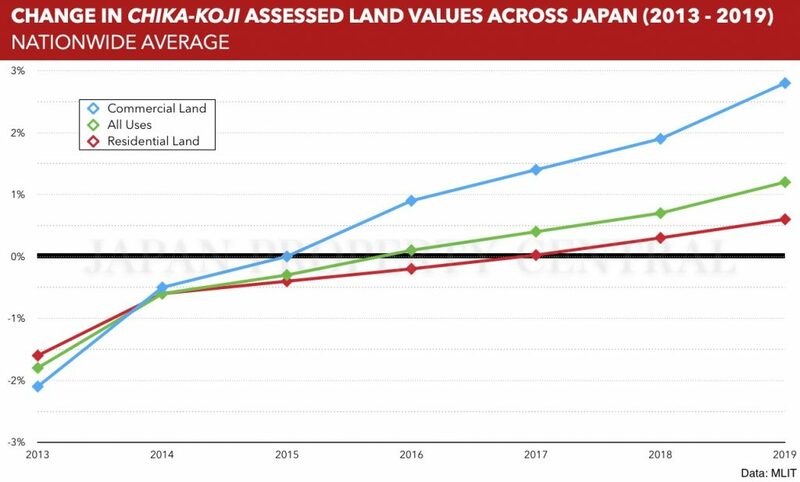 Greater Tokyo saw a 3.4% increase in supply, while the Kinki, Chubu and Tokai regions saw increases of over 7%. 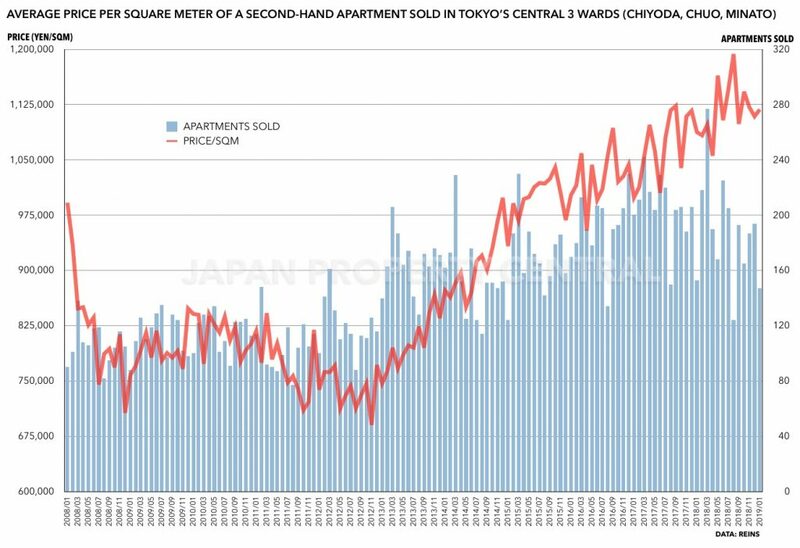 Another 80,000 new apartments are expected to be supplied for sale in 2019. 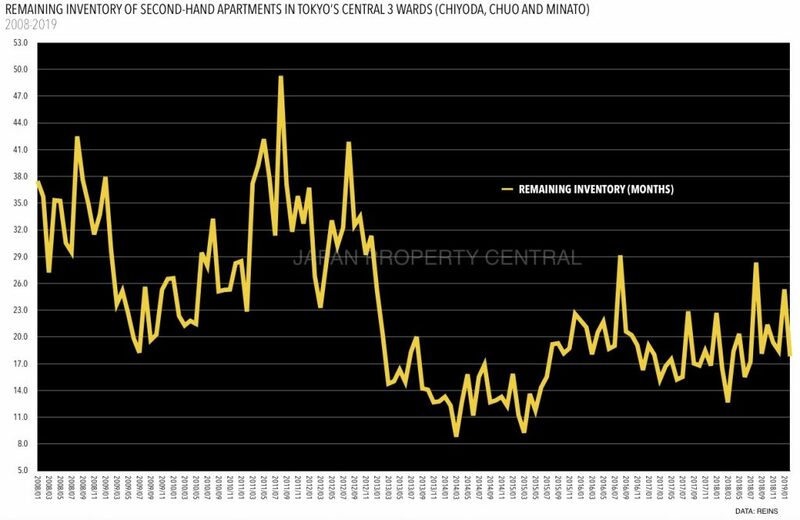 This is still below the recent peak of 105,282 units supplied in 2013. 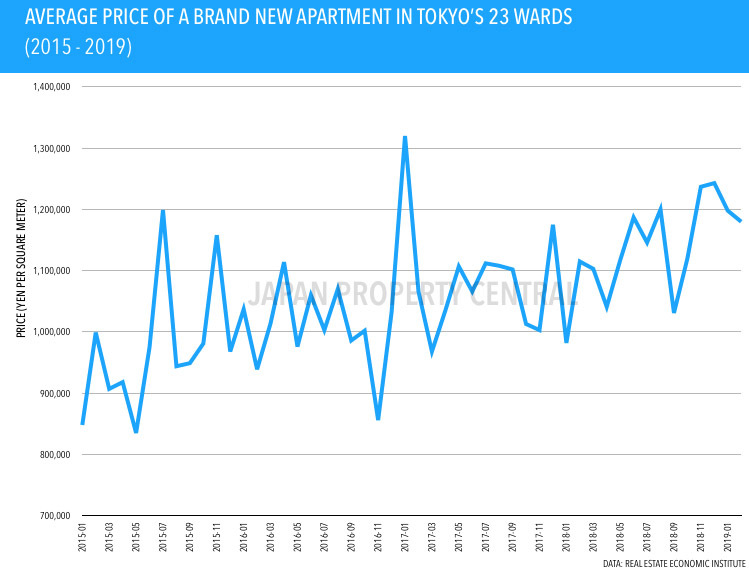 According to REINS, 2,667 second-hand apartments were reported to have sold across greater Tokyo in January, down 10.7% from the previous month but up 1.0% from January 2018. 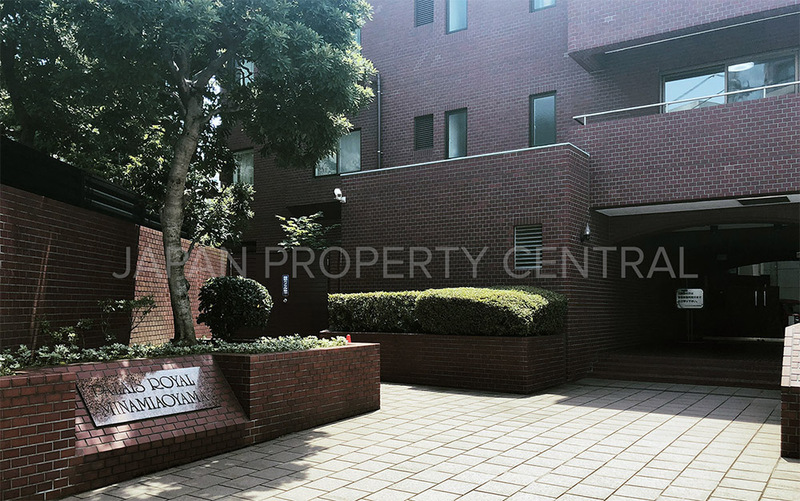 The average sale price was 32,940,000 Yen, down 2.5% from the previous month and down 1.9% from last year. 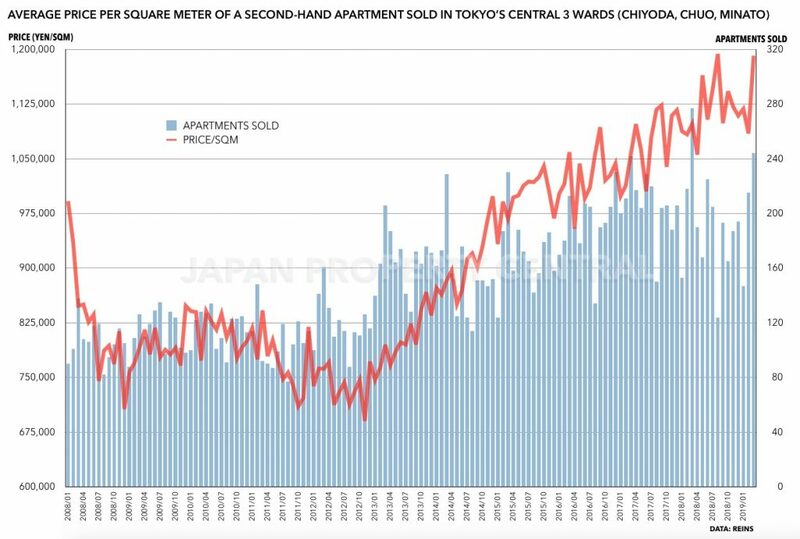 The average price per square meter was 514,600 Yen, down 1.8% from the previous month and down 0.3% from last year. 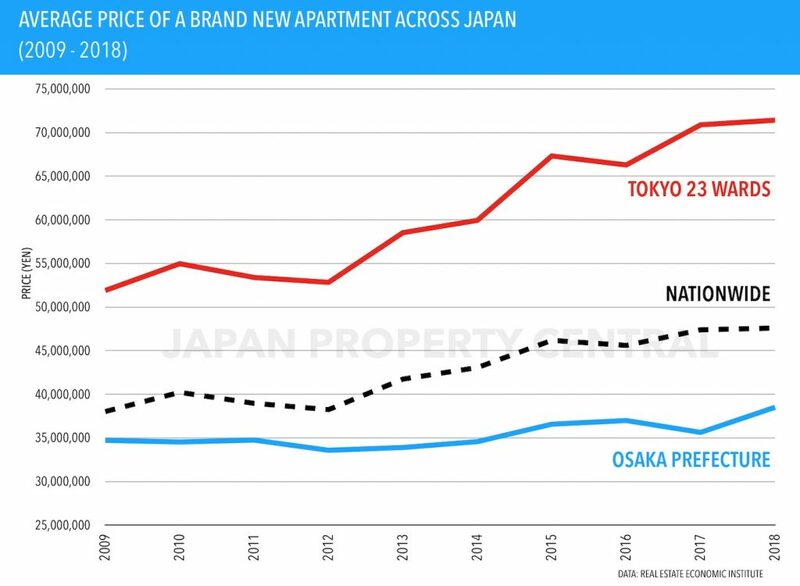 This ends a 72-month streak of year-on-year increases in sale prices.